In 2009, SaskFlax completed a visioning exercise with The Natural Step Canada that helped the organization formally incorporate sustainability into their day-to-day decisions and long-term planning. 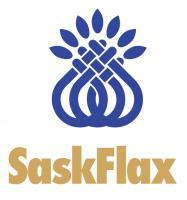 The Saskatchewan Flax Development Commission (SaskFlax) is a producer organization that represents more than 15,000 flax producers in Saskatchewan. The Commission invests in research, advocacy, communications, and market development activities to improve flax management, increase farmers’ revenue, and further develop the flax industry in the province. (DISCLAIMER: The work portrayed in this document was undertaken with the former Alcan, prior to its acquisition by Rio Tinto in 2007. Rio Tinto Alcan remains committed to sustainable development. As such, the work begun with The Natural Step as described below was folded into larger efforts centrally directed by Rio Tinto in London, UK. 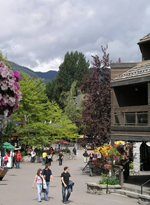 The Resort Municipality of Whistler was the first community in North America to adopt The Natural Step Framework. With its stunning natural beauty, tremendous growth challenges and upcoming 2010 Olympic and Paralympic Games, Whistler has spent the last decade understanding what sustainability means in its specific context. Through leadership, commitment and competence, Whistler has created an award-winning, comprehensive, community sustainability plan, enjoyed extensive early successes and continues to have an unwavering community-created vision and commitment. Whistler2020, the community’s strategic plan, is an ambitious step toward sustainability. Guided by local values and The Natural Step’s sustainability principles, the plan is a product of the creativity and commitment of 16 community taskforces, over 20 partners and 75 implementing organizations. It’s won numerous awards, including the FCM’s Sustainable Community award, and the United Nation’s sponsored Liveable Communities gold medal for ‘planning for the future’. Communities in Newfoundland are very interested in creating integrated community sustainability plans (ICSPs), but have found the challenge of putting them together and the cost of training prohibitive in meeting that goal. These communities care deeply about sustainability, but have not been able to pursue that interest–until now. The National Film Board is a federal agency with a mandate to produce and distribute distinct and challenging Canadian films at an international level. From April to October 2008, The Natural Step helped NFB create an institutional framework for sustainability. The Natural Step worked with the NFB’s Green Committee to undertake a systematic analysis of NFB operations, create a vision for a sustainable NFB, and a set of strategic actions to help the organization achieve its vision. Originally founded by postal employees in 1936, iNova Credit Union has provided financial services to the residents of Halifax, Nova Scotia for over 70 years. The company became a partner of the Atlantic Canada Sustainability Initiative (ACSI) in 2007, and committed to take action on sustainability using The Natural Step Framework. All staff were trained in strategic sustainability planning, and they worked together to perform a baseline analysis of their work to date. The local Environment Network hosted The Natural Step Canada in training a group of 15 people from local businesses, organizations and the municipality of Collingwood, Ontario. The intent was to provide participants with a shared understanding and common language of sustainability so they could identify initiatives to overcome current and future sustainability challenges in a collaborative, strategic and systematic way. Edmonton Airports Authority recently adopted “Sustainability” as one of its core values and the organization is committed to translating this into on-the-ground actions and results. To support this commitment, Edmonton Airports has begun working with The Natural Step to develop its sustainability vision and build a roadmap that outlines the journey ahead. Surrounded by the Pacific Ocean, and far from other land masses, the island of Hawaii is by design, a perfect living laboratory in which to practice the science of sustainability. This system is disturbed by their heavy reliance on the importation of fuel and food, posing a unique sustainability challenge for the island community: what if the boat stops coming? Historically, the Island was self-sustaining, even with a population size exceeding that of present day. Many Hawaiians, including those working with the Kohola Centre and the Hawai’i Department of Research Development, see great opportunity for the Island to once again restore this state of wellness through the building of interest and motivation to take sustainably driven action. In June of 2009, advisors from The Natural Step visited the Island of Hawai’i to provide a series of public workshops and a two and a half day session with leaders from various Island businesses and organizations.